Dental crowns restore teeth damaged by decay or trauma, surrounding the tooth with strong, natural-looking material. Crowns can also be used in cosmetic dentistry to hide substantial defects in the appearance of a tooth. 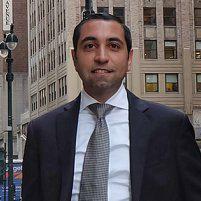 Dr. Ben Elchami is a top-rated dentist in Midtown East, Manhattan, with significant expertise in crown placement. Patients with extensive tooth damage can enjoy better function and improved oral health with today’s durable crowns. The best labs in the country and the latest materials in cement and buildup are used to create a safe, long lasting, functional, and aesthetic crown. A dental crown is a strong, thin, tooth-colored cover designed to surround the entire visible portion of a damaged tooth. Crowns are often used to provide additional strength and protection to broken or badly decayed teeth. 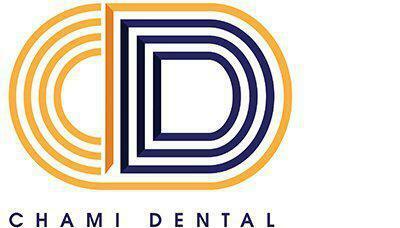 They can also be used to hide deep discoloration and stains that can’t be treated with teeth whitening solutions. Crowns are usually applied to teeth after root canal therapy. They’re also used to protect teeth supported by a dental bridge. Crown application typically requires two dental office visits. During the first visit, a small amount of the tooth surface material is removed to make room for the crown. This is to allow the crown to rest comfortably on the tooth without crowding adjacent teeth. If the tooth is decayed, the decayed portion is also treated. Sometimes, if the decay is extensive, buildup material is used to build the tooth back up and replace extensive decayed tooth structure loss. Dr. Elchami takes an impression of the tooth before placing a temporary crown to protect it. The impression is sent to a dental lab that makes crowns and it is tinted to match the surrounding teeth. In certain cases, Dr. Elchami will send his patients to the lab itself. One of the locations is in Midtown East as well. Here, the lab technician will take photos and notes to create a crown that is perfectly matched in shade, texture, and shape, as the surrounding teeth. At the second appointment, Dr. Elchami removes the temporary crown and applies the permanent crown using a strong dental adhesive cement. Do crowns require special care? No. Crowns can be cared for with regular brushing and flossing and routine dental checkups, just like natural teeth. Crowns cannot be whitened, so many patients opt to have their teeth whitened before crown placement. Crowns are exceptionally durable and with proper care, they can last for more than 15 years. To keep a crown in top condition, brush and floss regularly, visit the dentist twice a year for checkups and cleanings, and avoid chewing on hard foods or objects like ice, hard candy, or pencils. What happens if a crown gets damaged? If a crown gets cracked, chipped, or broken, it must be replaced as soon as possible to prevent decay and damage to the underlying tooth. Dr. Elchami is skilled in crown replacement and can repair damage or decay to underlying tooth structure and fabricate a new crown to restore the strength and function of the tooth.